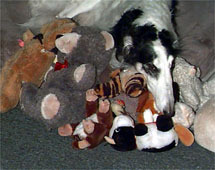 This incredibly versatile dog is listed in the Borzoi Club of America Versatility Hall of Fame. 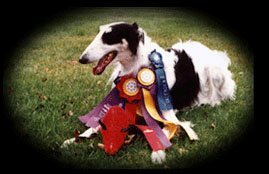 A three time Specialty BOB Winner and Veteran Sweepstakes Winner, Paris has Hound Group placements, Best in Field wins and has been a Top Ten Lure Courser and Oval Racer. Paris has beautiful, effortless, sound movement. He has full dentition and scissors bite at 11 years of age. He has dark eyes and great tail carriage. 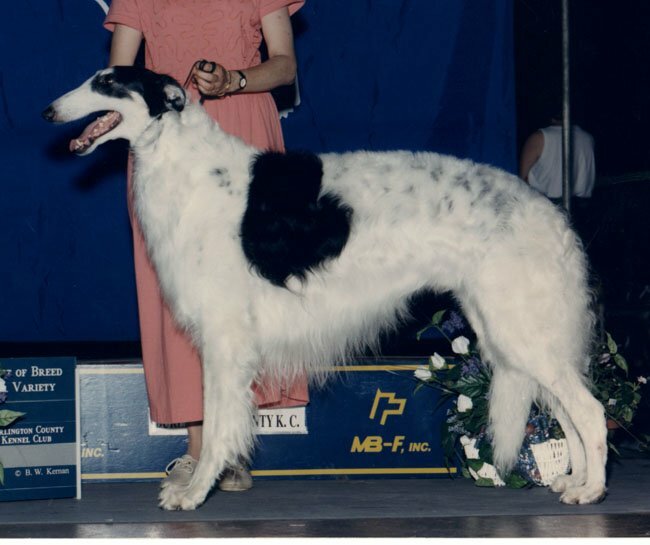 In the four litters that he has sired, Paris has produced some outstanding and talented Borzoi. 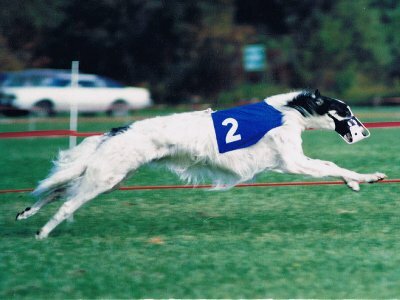 “Trinidad”, Dual CH Tour de France of the Wild Hunt, CD, SC, LCM, JOR, ROMX, owners: Robert DiSanto and G. Ariel Duncan. “Trent”, CH Maschas Nepal of the Wild Hunt, SC ROM, owners: Sandra Wenden, Ralph Jamison and G. Ariel Duncan. “Pompeii”, CH Trinidad of the Wild Hunt, SC, LCM, SOR, CGC, ROM, owners: Robert DiSanto and G. Ariel Duncan. 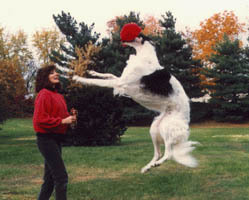 “Panama”, CH Maschas Panama of the Wild Hunt, SC, CGC, owners: Eric and Lesha Moore. “Leida”, Valencia of the Wild Hunt, owners: Jane Berardi-Malloy and G. Ariel Duncan. “Egypt”, BISS CH RR Lil Egypt of the Wild Hunt, SC, CGC, ROM, owners: G. Ariel Duncan and Harriett Grube. This page updated 18 February 2015 © 2015 Ariel Duncan. All Rights Reserved.